I was really curious about what are recyclables and non-recyclables items, since I migrated in the USA. My hometown does not practice recycling as much as I’ve known here, well, not that I am aware off. Because it is not strictly follow you can see so many non-recyclable things cluttered on the place. I wish we could do more about non-recyclables, there. No one is getting them from us. And I am not even sure if we have a place called dumpster. The main problems were those plastics. They were the ones who can be recycle, and if you have ideas on how to reuse them that would be better. Otherwise, they’ll left somewhere else. So, I do support those companies who like to use recycled bottles. Those plastics that can be reused to be a new plastic bottle or make something great and innovative out of those bottles. I am grateful for I was given the chance to experience how nice it is to own something, that is made out of recyclable bottles. I am also happy to learn about recycling facts like: the approximate 18 bottles of 16 oz. pete soda can make 1 yard of fabric. That’s a lot of recycled bottles. 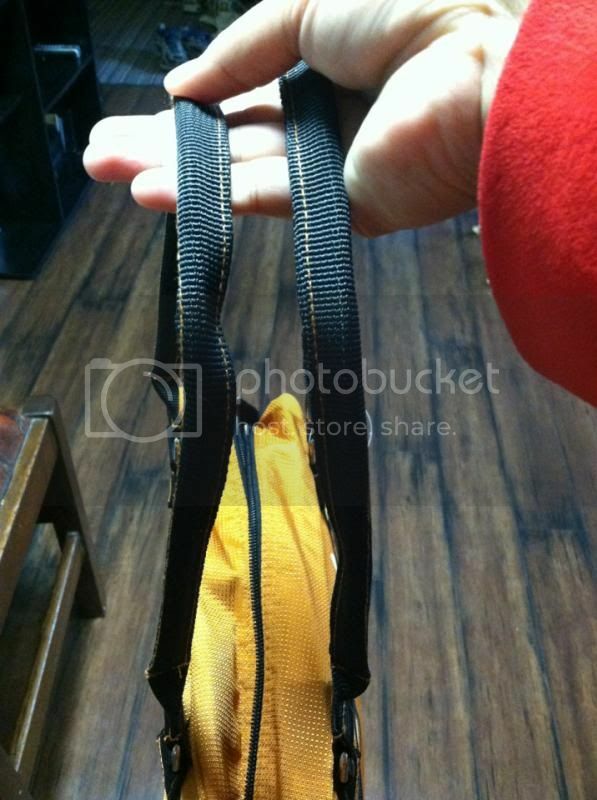 I’m thankful with Engage Green for giving me the opportunity to review the Orange Satchel with a value of $48.00. A high quality polyester fiber made from 100% PETE bottles. It is also waterproof recycled bottles which I like for my bag even more, to prevent the inside from getting wet. The fabric is made off chemically and functionally closely the same to those bags that were made from a non-recyclable fabric. The only difference of an Engage Green product is that they are made without depleting. The Satchel bag measures 15”x9.5”x4.5” and the handle are 22”, very handy, and spacious. And good for a person who likes to bring a lot of things. For me, it does work as I have to bring many things with me. It fits my iPad and other feminine items inside. It still has plenty of rooms no matter what. There were pockets inside, one side has zipper and the other has none but it has at least one big pocket size, and 4 small ones. 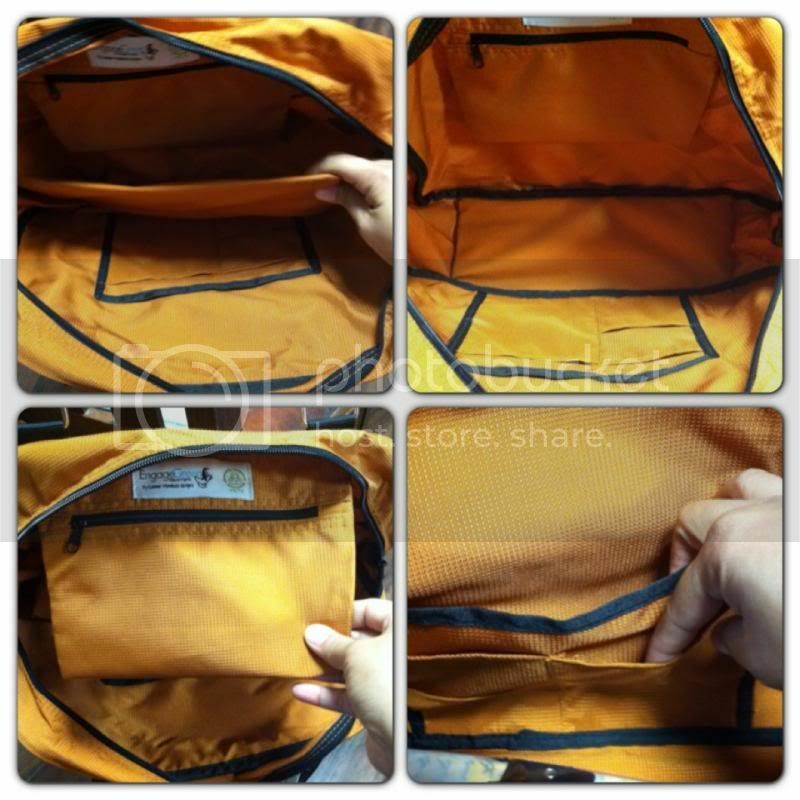 There is also a front zippered compartment. Satchel has three different colors and two different designs. And the shipping is pretty impressive. I love the bag. I have so many compliments when I used it for the very first time. Everyone is also impressed when I told them that this bag is made out of recyclable bottles. Engage Green is having more products online. They have plenty of products to choose from and everything seems to be very nice design. Please visit the website to see more of their wonderful designs. Engage Green's an online company for recyclable materials? Then, it's really fantastic to know this. THat is so nice and it's even great that is made from recycled material. 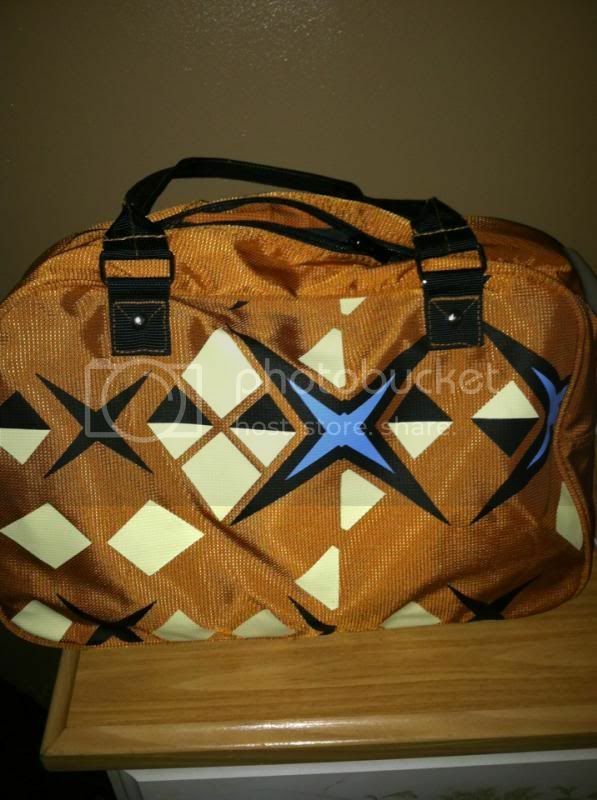 This is a really colorful and stylish bag and feels lightweight. I love the design of the bag and I love it even more that they are made from recyclable materials. Kudos to Engage Green. Wow for getting a cute bag while doing great things for the environment!